Even if you have read numerous books about a foreign country, unless you have lived there you can hardly have a thorough and comprehensive understanding of that culture. 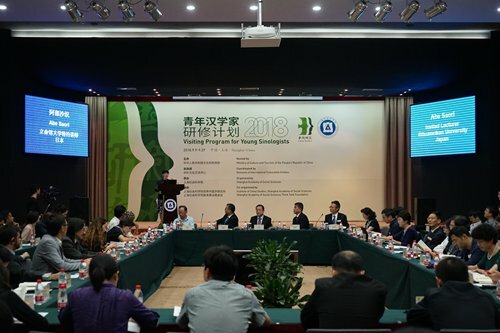 With this in mind, 33 Sinologists from 25 countries and regions, some of whom have visited or lived in China for years, joined the 2018 Visiting Program for Young Sinologists, which kicked off on Sunday and will proceed through September 29. 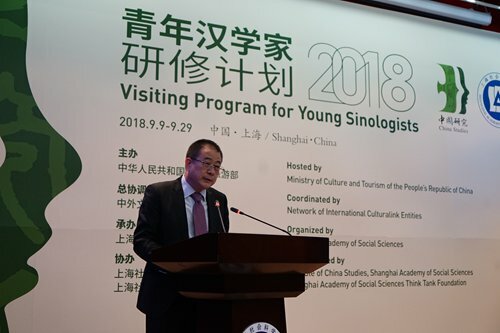 Zhu Qi, deputy director of the Foreign Affairs Bureau at China's Ministry of Culture and Tourism, said during the opening ceremony of the program that Sinology research has become an academic field with a wide range of interests in academic circles at home and abroad. "It is also experiencing unprecedented changes. Pursuing high quality development and a better life have become new demands of the Chinese people after entering the new era. In order to interpret China more accurately, traditional Sinology needs to extend to contemporary China," Zhu said. "Meanwhile, the current world pattern is experiencing a major change and adjustment period. Countries are increasingly connected with each other and their interdependence on each other is deepening. China needs more dialogue and communication with the world, in which young Sinologists can play a very important role," Zhu added. Japanese Sinologist Saori Abe, a lecturer from Ritsumeikan University, used to live in China for six years. As a Chinese language lecturer teaching undergraduate students Chinese at Ritsumeikan University, Abe found that her students lack knowledge of contemporary China. She hopes to pass on her knowledge and information about modern and contemporary China she obtained through this program to her students when she returns to Japan. "In my country, I have few opportunities to communicate with Chinese A-list experts or attending their lectures, so this is a very rare opportunity," Abe told the Global Times. Italian Sinologist Anna Stecher is an assistant professor from University of Munich in Germany. She used to live in China for several years while finishing her master's degree and obtained her PhD in Chinese literature. Stecher attended other Sinologist conferences in the past, however, Stecher thinks the communications and cultural exchanges at this conference make more sense due to the diversity of its participants. It was the fifth time for Indian Sinologist Aditya Kumar Pandey to visit China. According to Pandey, Chinese and Indian people know very little about each other. Pandey hopes to promote Chinese culture in India with his Chinese language capability. "There is a Chinese saying: baiwen buru yijian [one picture is worth a thousand words]. Many Indians who have never been to China have little knowledge about the country. So I hope to help them better know about China through my own experiences," Pandey said. Hend Sultan Mahmoud Elmahly from Egypt has been living in China for five years and is currently doing her PhD at Shanghai International Studies University. "I feel this program is related to my major of international relations and I will take some courses about Chinese economy, Chinese politics, Chinese strategy with another country. I can make friends with people from all over the world and exchange ideas with them about China and their countries," Elmahly told the Global Times. During the opening ceremony, four young Sinologists including Abe, Pandey, Elmahly and Stecher shared their personal stories about China and themselves. Abe shared her stories about her three Chinese language mentors. "What the three teachers have in common is that they have an unlimited love and respect for China. Although Japan and China are neighboring countries, there was an unfortunate history between the two countries in modern history. Japan's war of aggression caused great harm to China and Sino-Japanese relations have experienced good and bad times." "But my three teachers tried every means to allow their students to access all aspects of China. My goal is to try my best to be as a good teacher as my own teachers, to cultivate our next generation and build a beautiful future for China and Japan," Abe said. Pandey shared his story about how he fell in love with Chinese language and China after he studied in and traveled across China. Stecher shared her love and passion for Chinese theater dramas. "Dramas often give us a deeper understanding of a very complex issue, because the language of drama is not only our daily language. There are many levels of communication in drama dialogues, include both exchanges of ideas and emotional communication between people," Stecher said. Hosted by China's Ministry of Culture and Tourism, organized by Shanghai Academy of Social Sciences (SASS), co-organized by Institute of China Studies, SASS, and SASS Think Tank Foundation, the program launched in 2014 has held 14 classes over the past five years and received over 400 young Sinologists from 93 countries and regions. 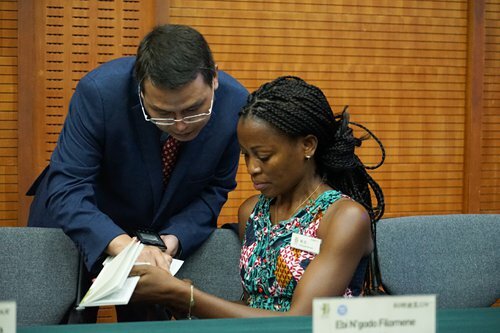 Through the program, these young Sinologists have deepened their understanding of China, broadened their horizons, improved their academic research and strengthened communications with peers from different countries and regions.